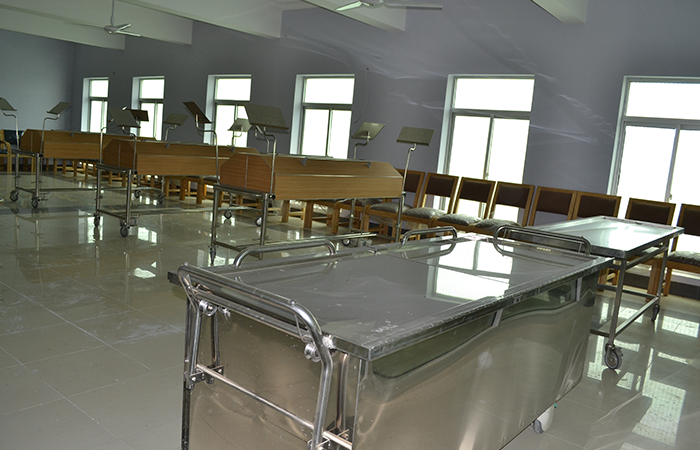 A spacious Centrally Air conditioned dissection hall furnished to accommodate 100 plus students at a time for dissection. 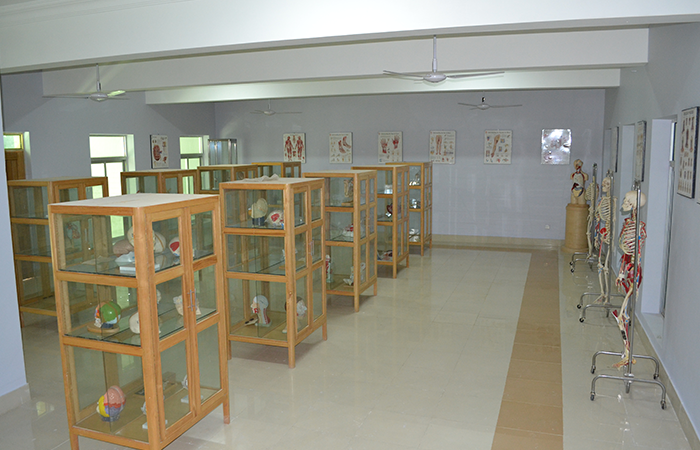 It is well equipped with Gross Anatomy, Embryology, Neuro Anatomy and Histology models, charts, CDs, X-rays, Multimedia and slide projectors. Articulated and disarticulated model skeletons are available. Original bones are also available in sufficient quantity. Department has well Centrally Air conditioned, and well ventilated, spacious and furnished Histology lab having twenty five binocular microscopes, a multihead microscope and a slide projecting microscope with multimedia.